Once you’ve achieved a mirror-like gloss, seal and protect polished metal surfaces with Wolfgang MetallWerk™ Concours Metal Sealant. This acrylic metal sealant eliminates any remaining polish residue for a cleaner, clearer shine that is protected from the elements. Wolfgang MetallWerk™ Concours Metal Sealant locks in the shine you’ve created with Wolfgang MetallWerk metal polishes. Wolfgang MetallWerk™ Concours Metal Sealant goes a step beyond protection by removing any light residue that may detract from the metal’s shine. Use a Lake Country CCS Gray Finishing Pad or a White UltraFine Polishing Pad by The Edge 2000 to apply Wolfgang MetallWerk™ Concours Metal Sealant. Set the maximum speed at 3-4 on a dual action polisher or 1000 on a rotary polisher. will absolutely bring some pop to your metal. 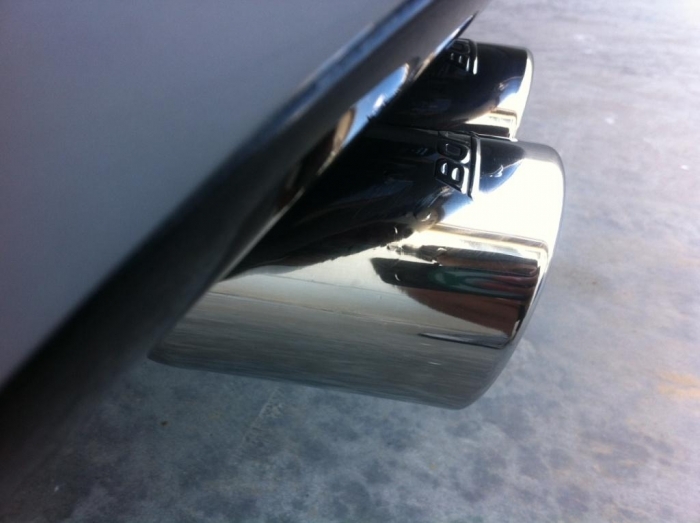 I use it exclusively for my stainless steel exhaust tip. Only seems to last a couple weeks though. This is a fantastic sealant to protect that polished metal. 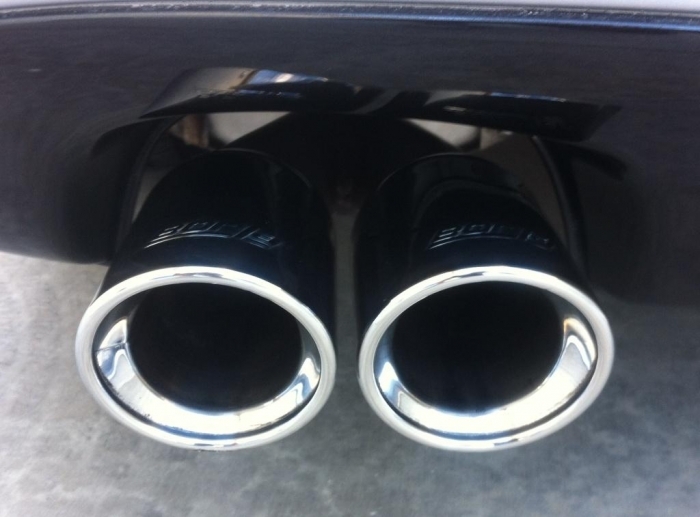 I use it when I have polished my exhaust tips and other metal accents. 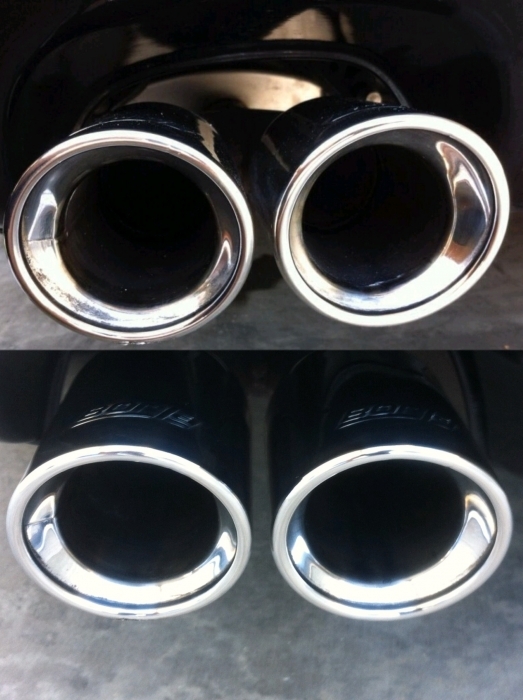 It is nice and hydrophobic and lasts months on exhaust tips. It also removes any remaining metal polish residue that may have been missed. It adds even more bling to them.